The Camera Club welcomes photographers of all skill and experience levels. Meetings are generally held on the fourth Monday of each month at 7:30 p.m. in Room 300 at The Meeting House. Contact David Blackman to RSVP. 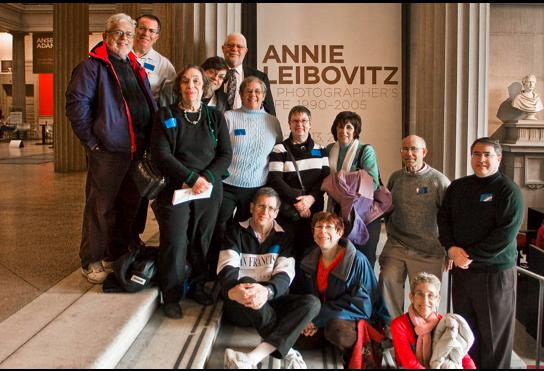 The Camera Club on a field trip to view the Annie Leibovitz exhibit.